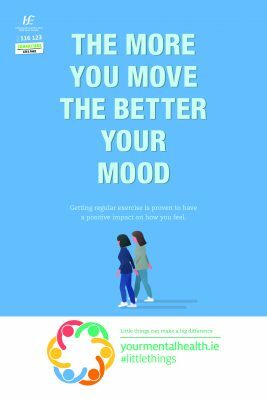 This walking group is for people who are currently doing little or no walking. There is lots of chat and always someone to walk along with. The walk is approximately 3km from start to finish with a bit of scooting built in along the way. 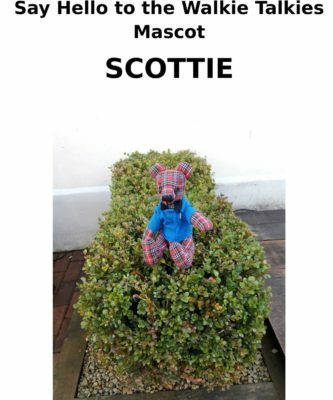 This is a very open and inclusive group and welcomes young and old alike, the walking route is accessible for buggies so parents and carers be sure to come on out and join in. 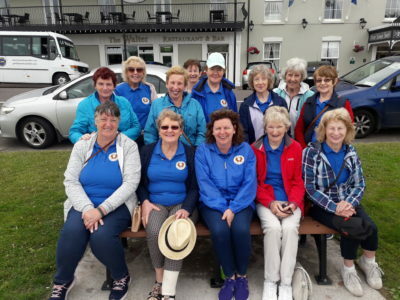 The Walkie Talkies meet weekly on Monday mornings at 10.30am in the Courtyard of the Fermoy Community Resource Centre. Regular updates about initiatives that the Walkie Talkies are taking in part in can be found on the Fermoy Community Health Project Facebook page. 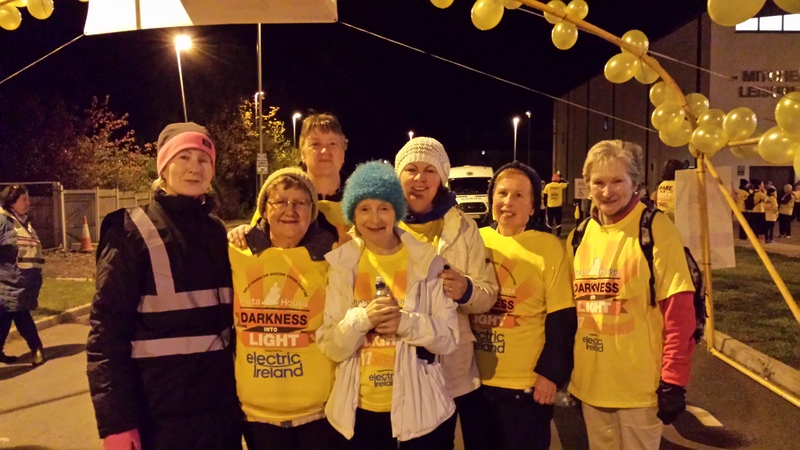 Members of the group have participated in a number of planned national events such as Operation Transformation and Darkness Into Light. 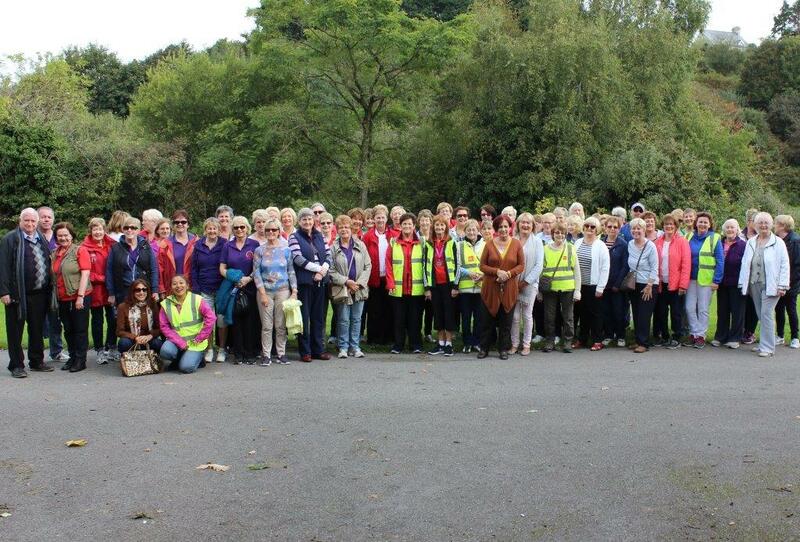 The group also host and travel out to ‘Meet & Mingle’ events; these are planned walks with other community health project walking groups in their respective areas. 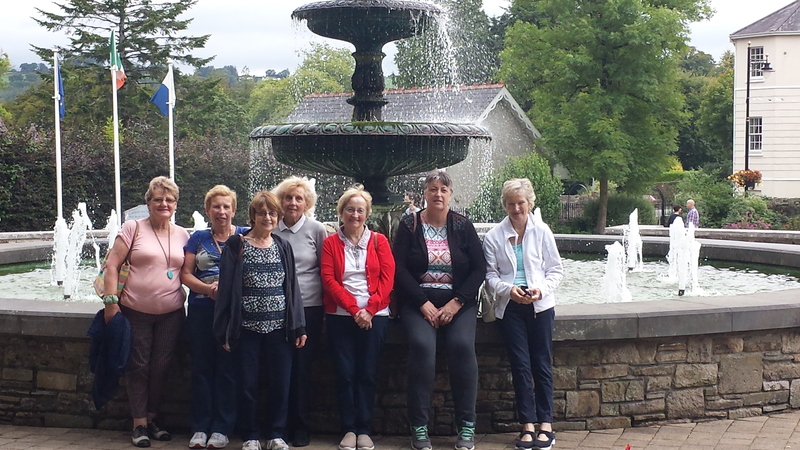 Members of the Fermoy Walkie Talkies on an outing to Lismore, Co Waterford. 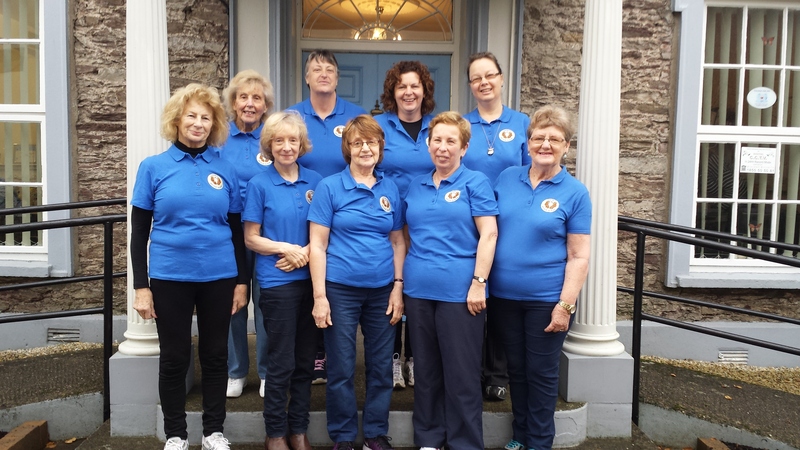 Members of Fermoy Walkies Talkies proudly showing their new t-shirts which were finished off with a wonderful new personalised logo designed by a member of the group.